For me, The Godfather is a movie of many firsts. Born a few years after the The Godfather released, I was deprived of a big screen viewing until recently when a cinema house, may the powers that be bless them with more such intelligence, screened it as part of their vintage film festival. Revisiting The Godfather was akin to time travel that evoked a flood of nostalgic memories, most of which were locked deep in the recesses of my subconscious. The first thing to jolt me: “Wait a minute! This is not the first time I’m watching it on screen“. Yep, it dawned on me that I’ve seen it on screen as a 6-7 year old kid with Dad who, God knows how, sneaked me into the now defunct Blue Diamond theatre in Madras (now Chennai) to watch this blood-bath of a crime saga. It happens to be the first English movie I saw on the silver screen. And also the first one in the crime genre. The next link was unchained when another memory-thunderbolt hit me: Believe it or not! Doordarshan (DD), India’s only TV channel back in the pre-liberalization socialist era, eons before satellite, cable or dish-TV hit India, aired it as a TV-series once or twice a week perhaps. And all this talk about censorship now? I doubt we watched the great Epics Ramayana and Mahabharata together but as if following Don Vito Corleone’s diktat, “...a man who doesn’t spend time with his family can never be a real man…”, for the first time, me and my family assembled together to watch the Corleone family saga unfold before our eyes; delving deep into the psyche of the characters we got a glimpse of America’s crime world much, much before we were introduced to the more desi crime-&-criminal stereotypes (many based on The Godfather) of current-day Bollywood. If The Godfather is a landmark film in my evolution from a lay cinephile to an amateur film critic, Indian cinema’s obsession with The Godfather comes as no surprise. As alliterative as it may sound, for Indian cinema, the godfather of all crime & gang-warfare movies is obviously The Godfather. It doesn’t take an Einstein to figure that one. What’s interesting though is Indian directors’ various reinterpretations, recreations, rehashes, remakes and regionalizations to the theme, structure, characters, plot and technique of this cult classic. Watching The Godfather also instantly materialized in my mind’s eye various scenes, techniques, characters and other so-called “inspirations” of its respective Indian versions or RIPs. Oh! And a RIP here merely means Re-Inter-Pretation or Re-Inter-Pret (RIP). By far the best RIP of Coppola’s vision, director Mani Ratnam’s Tamil flick had all the regional ingredients and hit the right chord with critics and masses alike. Although the characters, especially the complex family hierarchy, were different and reduced in number, Nayagan stuck to the primal character of The Godfather, played with cathartic élan by National Award winner Kamal Hassan. If Marlon Brando evoked a sense of pride, charisma and fear as Don Vito Corleone, Kamal’s more humane portrayal evoked a sense of sympathy, respect and, towards the movie’s final segments, tears and pity for Velu Nayakar. A year after Nayagan‘s release, director Feroze Khan RIPs the Godfather-inspired Nayagan for the mostly forgettable Hindi version–Dayavan. With average performances and out-of-place characters, Dayavan failed to do what Nayagan did and was a damp squib at the Box Office. Probably remembered for a steamy song between the lead pair Vinod Khanna and then Bollywood heart-throb Madhuri Dixit. Director Ram Gopal Varma (RGV) openly acknowledged that Sarkaar is his homage to The Godfather. Thank you, RGV! Phew, half a dozen The Godfather-inspired films later, the man finally speaketh. It was dutifully followed by Sarkaar Raaj (The Godfather-part 2). And by the way, it starred India’s Marlon Brando: Amitabh Bachchan. Mahabharata meets The Godfather in this political electoral drama that draws it characterizations heavily from The Godfather—Ranbir Kapoor as Michael Corleone; Arjun Rampal as Sonny; and traces of Tom Hagen in Nana Patekar. Inconsistent Characterization: A protagonist who’s a messiah of the downtrodden, opens schools for the poor but works as a henchman for a boss who deals in human-trafficking, care’s a damn about human-trafficking until his own sister is affected. Weak Dialogues: Muslim characters speaking Hindi words like shaadi instead of their Urdu equivalents like nikah; the antagonist spews Bhagavad Gita verses but gets his facts wrong. No wonder he’s unaware of Lord Ganesha’s crucial role in The Mahabharat—that of the scribe. Suspension of Disbelief: There’s a limit to it. See the climax and pre-climax to know what I mean. 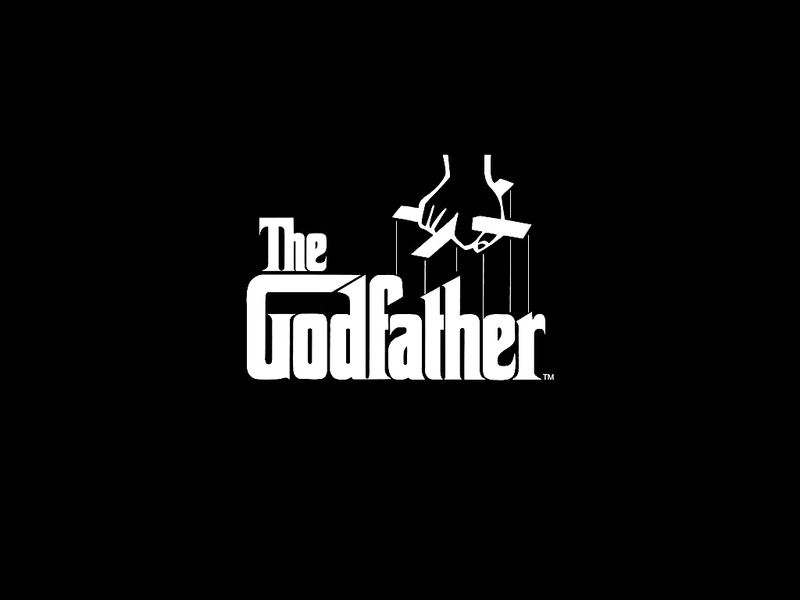 Mario Puzo glorified the Italian mafioso when he wrote The Godfather; Francis Ford Coppola immortalized them when he metamorphosed it on the big screen; and directors the world over (Including India) have elevated these characters to a godly status by re-re-creating The Godfather time and again. Does The Godfather deserve such a podium? I am emotionally attached to The Godfather to throw unbiased light on this subject; I leave that decision for you dear reader to make in the poll below. For me, personally, The Godfather continues to be close to my heart for it baptized me into the big bad world of movies. Tags: Agneepath, Akele Hum Akele Tum, Al Pacino, Dayavan, don vito corleone, Francis Ford Copolla, godfather bollywood, godfather hindi, godfather reinterpretation, godfather remake, godfather tamil, hollywood, Kamal Hassan, Mani Ratnam, Mario Puzo, Marlon Brando, Nayagan, Nayakan, Nino Rota, Raajneeti, ramayana and mahabharata, Sarkaar, The Godfather. Bookmark the permalink. Awesome post, Prakash! As an American – we sometimes forget how universally beloved The Godfather is across the globe and that its influence is felt internationally and not just in the myriad of American rip-offs and homages that have flooded our shores over the past decades. For some reason, The Godfather Part Two sticks in my memory more – but man – what a one-two punch they make and sometimes they meld into one film for me – one vision, one story that can’t be separated. It’s interesting to hear it played as a TV series over there! I learned a bit about Indian cinema here, too – so thanks! And your dad totally rocked for sneaking you in to see it at a such an impressionable age. Great stuff. Thank you David! Even I had forgotten the influence Godfather has had on Indian cinema and hence revisited those influences and memories in this post. Part-2 was equally good and I completely agree that both Part 1 and 2 are like one smooth stream. And on DVD I usually end up watching both parts together. This post too was about The Godfather in general and not any particular part. Even the version they played on television was Part 1 and 2 sewn in together. 🙂 very creative dude. Great review!!! I would love to see some creative juxtaposing on GF2. The Godfather-2 has a more complex narrative and starts off where Godfather-1 left off with Mike, and on the other hand it chronicles young Vito Corleone’s struggle and rise to power. I don’t think any director has gone too close to Godfather Part-2, although you can see glimpses of it in RGV’s Sarkaar Raaj and (although I’ve not seen it) Priyadarshan’s Malayalam flick starring Mohanl Lal: Abhimanyu. Oh! And RGV’s Satya too has glimpses of Godfather-2. The protagonist like Vito is an immigrant who comes to Mumbai and circumstances force him to enter the underworld and thus begins his rise to power. If you know of other Indiam movies which are similar to The Godfather-2 do leave me a comment. Good blog,im afraid im with camp that hates this movie,I like the characters but I cannot tell you how many times I fallen asleep forcing myself to watch it,I find the movie very slow and boring. Let’s not forget Heat. Smile and shoot! Need to revisit that one Bro!